Five students from the Jacobs School of Engineering’s Entrepreneurism and Leadership programs received acceptances into the University Innovation Fellows program run by VentureWell, in partnership with the National Science Foundation and Stanford University. Students Alex Finch, Deepak Atyam, Joyce Sunday, Uzair Mohammad and Neil Gandhi have been welcomed to a nationwide cohort representing 58 Fellows from 26 campuses that joined the active group of Fellows– bringing in a total of 168 Fellows from 85 schools across the United States. 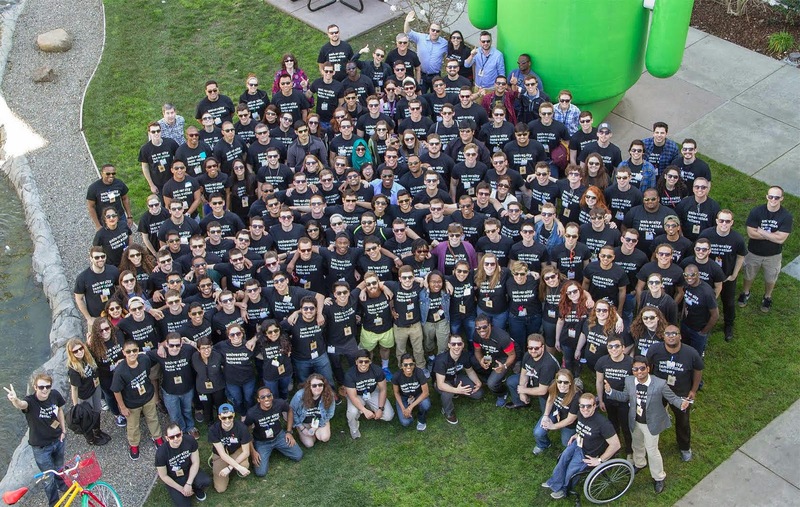 There are 168 Fellows from 85 schools across the United States. 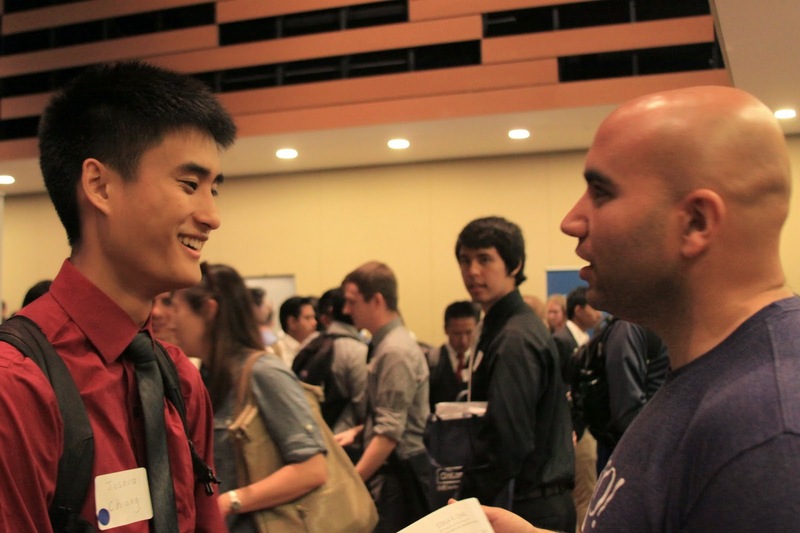 6 out of the 8 Fellows from the University of California system are UC San Diego students. 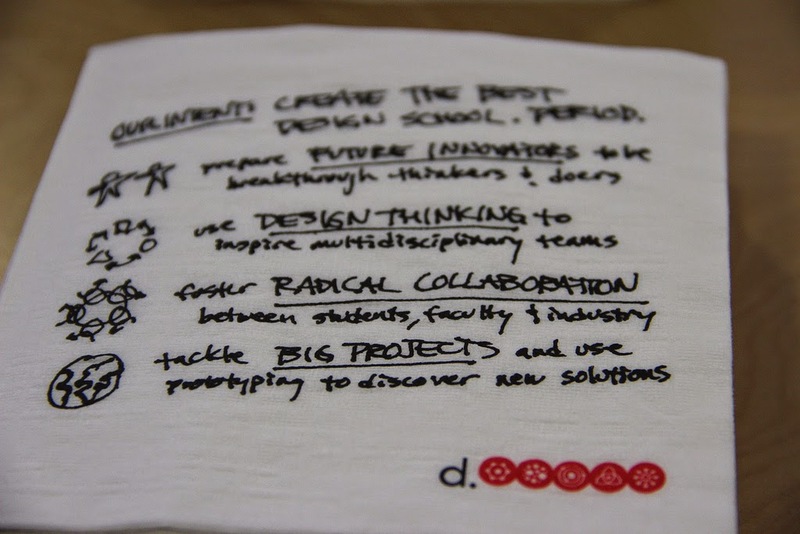 The University Innovation Fellows program is a component of a national movement that aims to encourage students to “design, dream and deliver” innovations that can solve real-world problems. 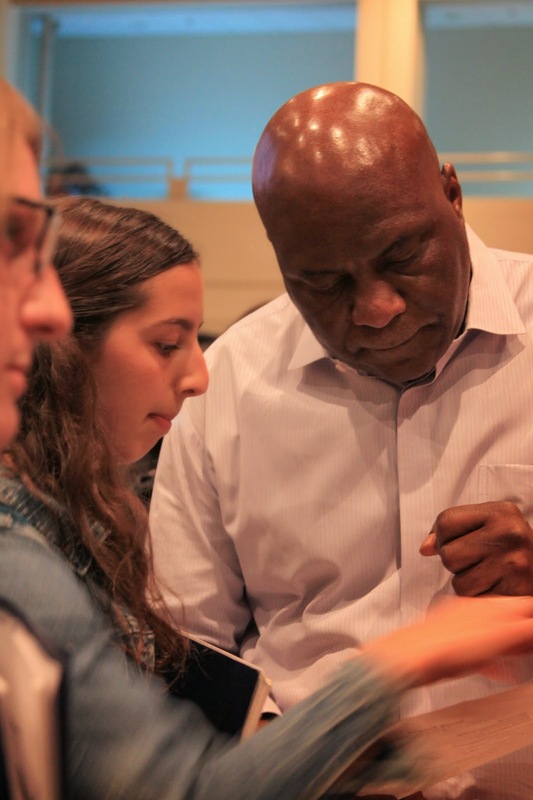 The Program provides Fellows with training, mentoring and support to empower them to take on leadership roles in their related fields and communities. Fellows serve as advocates of the knowledge, skills and attitudes needed to produce positive social innovation. We are proud to see five of these Fellowships go to our outstanding students who demonstrate these values through their drive and desire to continue innovating. 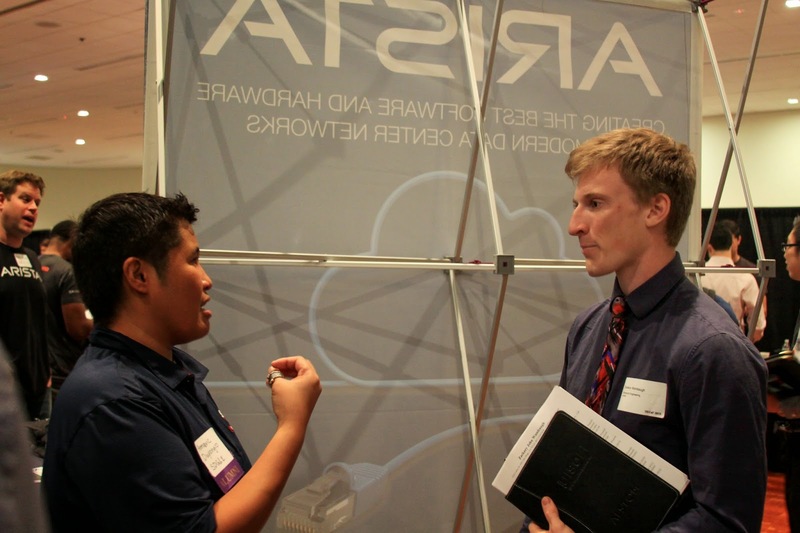 Alex Finch and Deepak Atyam of Tri D Dynamics recently took first place in the Tech division of Entrepreneur Challenge, this year. Alex Finch is a graduating Structural Engineering student and Deepak Atyam is a graduating Mechanical and Aerospace Engineering student. Atyam received the Engineering Leadership Award in 2013 from the Gordon Engineering Leadership Center. Both students are current Scholars at the Gordon Center. 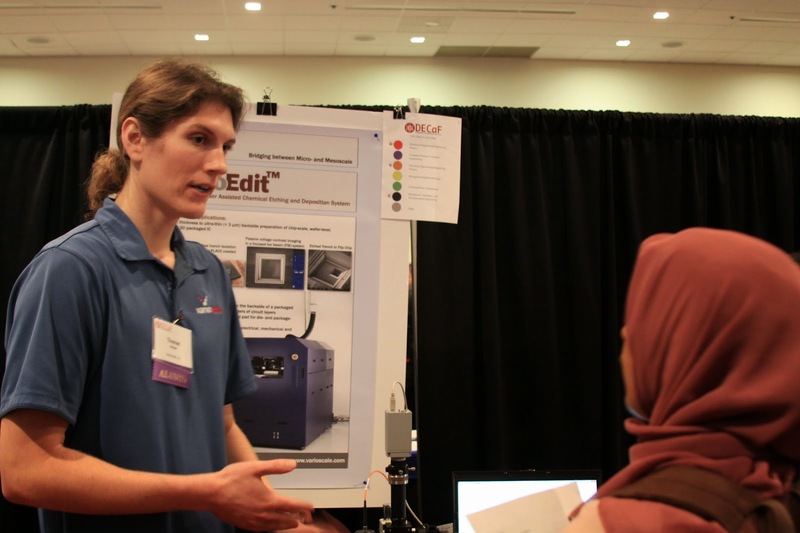 Their startup, Tri D Dynamics, part of the Moxie Center Incubator and the team also completed Phase I of the von Liebig Entrepreneurism Center’s NSF Innovation Corps Program. The two recently took first place in the Tech Division of Entrepreneur Challenge where they presented Tri D Dynamics’ 3D printing technology to create designs for high performing, lightweight and cost efficient rocket engines. Joyce Sunday is a graduating senior from the Department of Chemistry who participated in Phase I of the von Liebig Center’s Innovation Corps Program and is now currently participating in the Center’s Phase II program. Her startup in the Moxie Incubator, Wastelights, is converting sewage into electricity and turning kitchen waste into biofuel and biochar. 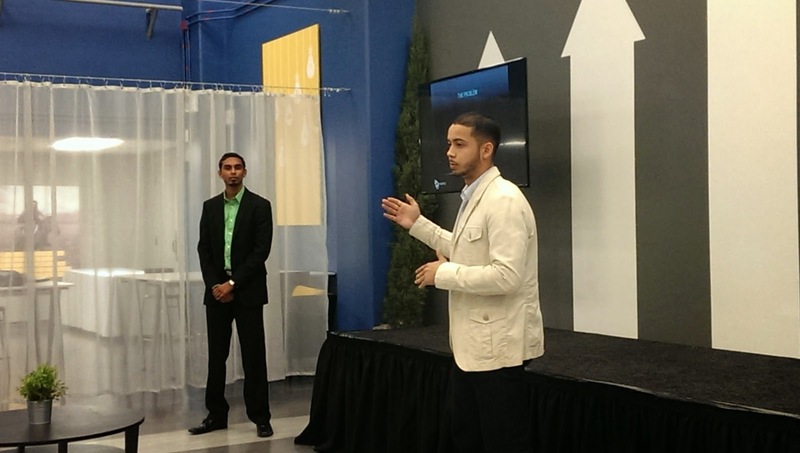 Uzair Mohammad's Moxie Incubator Team, Saaf Engineering Solutions, is developing a revolutionary water filter. Bioengineering student Uzair Mohammad is working with his team in the Moxie Incubator on Saaf Engineering Solutions: a revolutionary water filter that can remove all bacterial contaminants in water using a costless method of manufacturing. 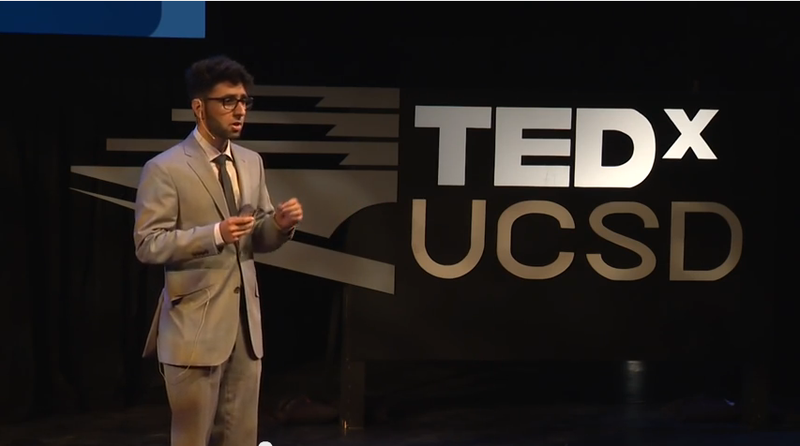 Neil Gandhi is a student from the Nanoengineering department and is currently working in the Moxie Incubator on developing a new and simplified method of streaming and sharing music, Audograph. 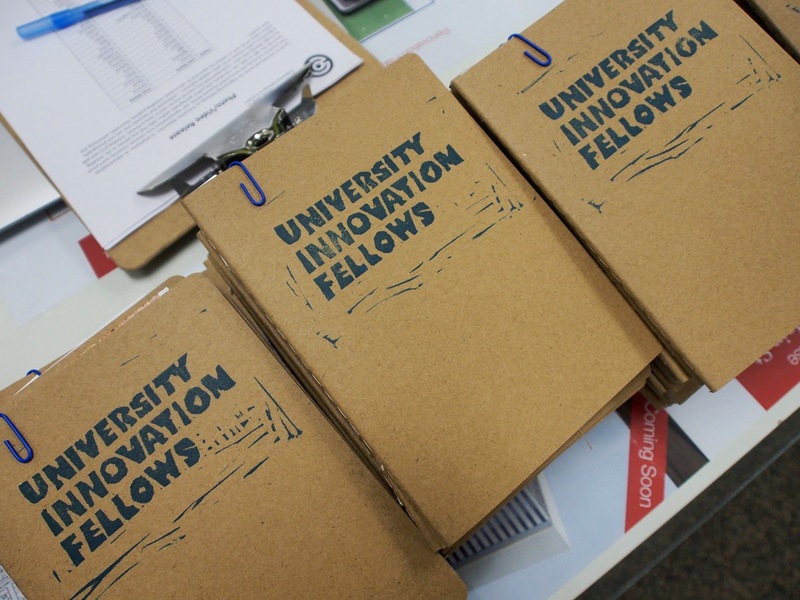 VentureWell is accepting applications for the University Innovation Fellows program’s Fall 2015 Fellows. The application is due May 11 and you can click here to apply online or contact UC San Diego faculty advisor Dr. Jay Kunin at jskunin@ucsd.edu. Congratulations to everyone! We look forward to seeing more excellent and inspiring work. It's been quite a week for MiPosaur, a robot born of the collaboration between toymaker WowWee and UCSD Robotics. It was featured on ABC World News Tonight and on the Live with Kelly and Michael show on ABC as part of coverage of the 2015 Toy Fair in New York. The toy dinosaur, a self-balancing robot, responds to hand gestures and commands made via an app, can follow a ball, dance and, of course, roar. Check it out in action in the videos below (at the 55 seconds mark for ABC News and 3:40 mark for Kelly and Michael). 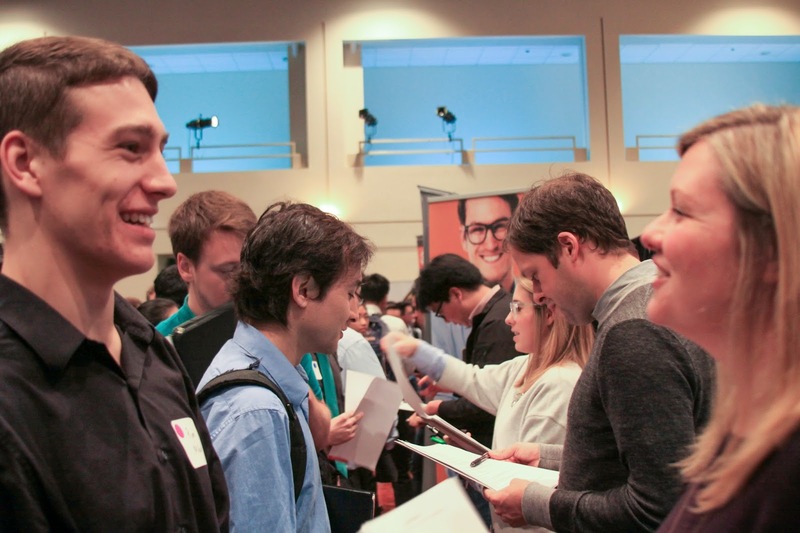 Hundreds of students crowded the Price Center East and West Ballrooms Friday, Feb.20 for the Disciplines of Engineering Career Fair, better known as DECaF, organized by the Triton Student Engineering Council. 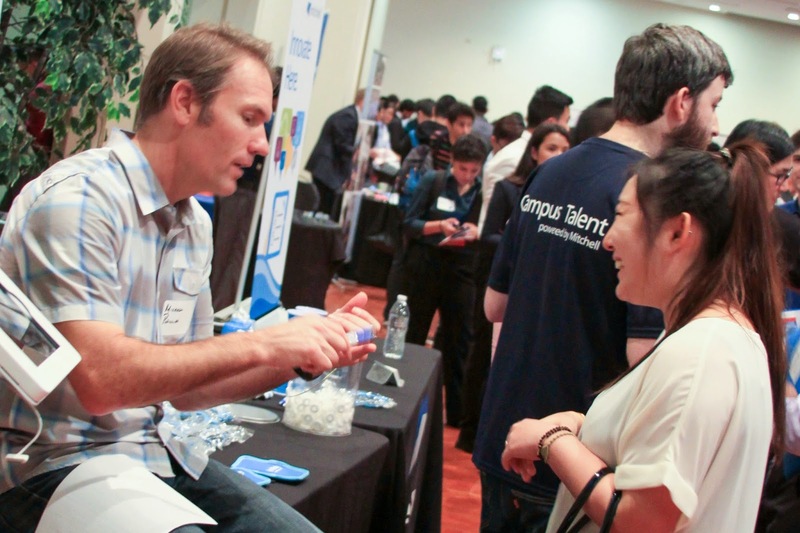 This year, students had access to more than 90 companies. 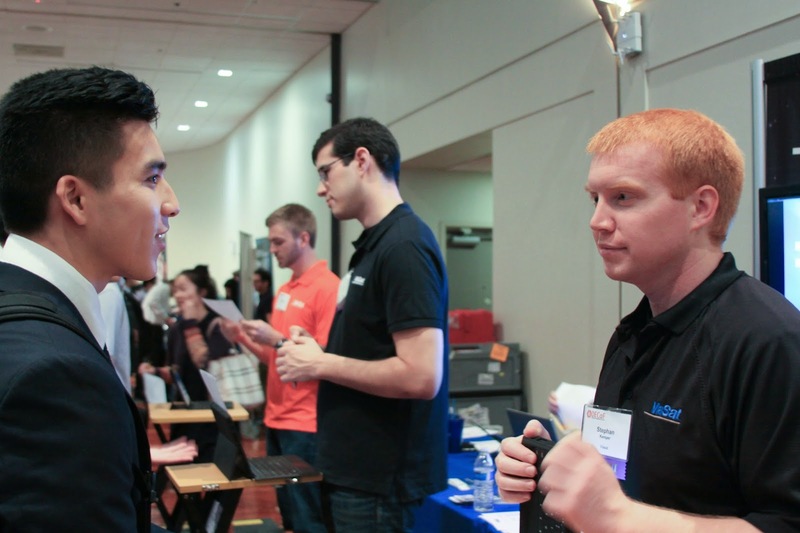 Many of them sent UC San Diego alumni to help recruit for internships and full-time positions. Jeffrey Silverman, who earned a degree in biology here in 1982, was one of them. He is a managing director at San Marcos-based Varioscale, a company that creates cutting edge equipment to support the electronics industry. Silverman said he was back because he was impressed by the work of a hire he made last year at DECaF, Thomas Harper. "He's done a fine job for me. I want to go find more Toms," Silverman said. Engineers at the University of California, San Diego, want to revolutionize the electric car industry--and they need your help. They have built a car with swappable, rechargeable battery modules, which allow drivers to change car batteries just like you change the batteries in your photo camera or flashlight. They now want to take the car, a 2002 four-door Volkswagen Golf, on a cross-country trip--but they need funds. So they have launched a crowdfunding campaign on UC San Diego’s brand-new Crowdsurf website. So far, they have raised more than $6,000 toward their $14,000 goal. The funds would go toward building housings for the battery modules, so that they can survive the cross-country trip. Engineers estimate they can go from San Diego to South Carolina in about 45 hours--at the legal speed limit--stopping only to swap out modules. They named the project Modular Battery Exchange and Active Management, or M-BEAM for short (http://www.modularexchange.com). Donors to the crowdfunding campaign will get their name on the modules and on the car in different font sizes depending on their contribution level. Check out the video above for an overview of the campaign. The design for this year's Pi-Mile Run/Walk T-shirt. 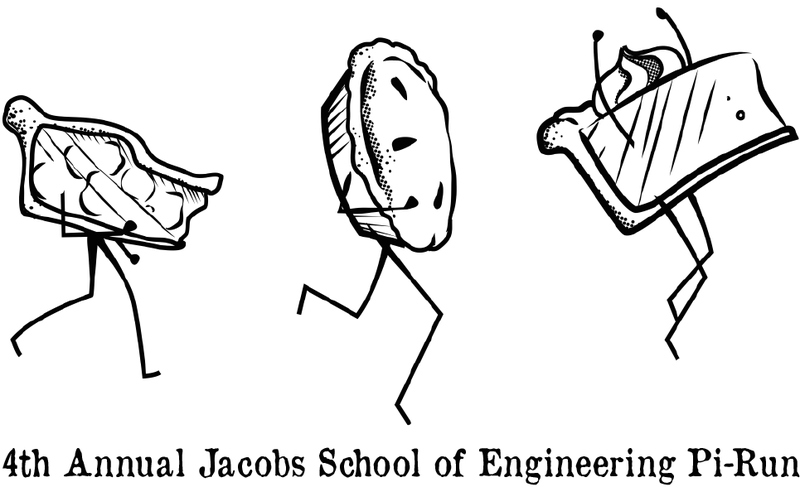 Pies will be falling from the sky on Friday, March 13 at the Jacobs School of Engineering, more specifically in the Bear Courtyard. Dozens of people will also be running--but not because of the flying pies. It's all part of Pi Day celebrations at the Jacobs School, which will be held a day early this year, since the actual Pi Day, March 14, falls on a Saturday. Festivities will start with the Pi-Mile Run/Walk, which takes participants through a 3.14-mile course around the Jacobs School , RIMAC and Calit2. The start and finish line are in the Bear Courtyard. Registration is $10 and includes a free T-shirt and a slice of pie. Proceeds from the event go to the San Diego Science Alliance, an organization that promotes science education in kindergarten through 12th-grade in San Diego. The run, organized by the Jacobs Graduate Student Council and the Triton Engineering Student Council, will be followed by the Pie Drop, organized by honor society Tau Beta Pi, a national engineering honors society. Students will drop a pie from an unspecified location in the Bear Courtyard. By the way,the actual Pi Day will be extra-special this year: at precisely 9:26:53 the date (if written 3/14/15) will match the number Pi to the 10th digit. MiP, the little robot created in partnership between UCSD Robotics and toymaker WowWee, does it again! It received the Innovative Toy of the Year award this past week at the New York Toy Fair--the Oscars of the toy industry. The award recognizes "an outstanding toy that combines innovation and play value." MiP, short for Mobile Inverted Pendulum, can balance itself and drive around on two wheels. ``Its organic nature is particularly engaging: when it stands, it gently sways back and forth; when pushed, it takes a step back to regain its balance. In a very real way, the dynamics of MiP mimic life,’’ said Professor Thomas Bewley, director of the Coordinated Robotics Lab at the Jacobs School of Engineering at UC San Diego, who worked closely with WowWee to bring MiP to market. Users can play with MiP right out of the box in several engaging modes of play. You can interact with MiP immediately using intuitive hand gestures. Install the tray that MiP can carry and test your skill at stacking games. Or, put a full soda can on MiP’s tray, and drive it to a friend across the room via Bluetooth and a free smart phone app. And, of course, MiP can dance—either to the beat of its own (built-in) tunes, or to any tunes on the user’s smartphone or tablet. More about MiP's origin story here. More info on MiP here. Some recent media coverage here and here. We attended the "Privacy in the Era of Big Data" session at the AAAS conference in San Jose, Calif., on Feb. 15 and came away with a new appreciation of how complex the subject truly is. Below is a series of tweets we posted during the meeting, as well as a brief abstract. Science, technology, and businesses are being rapidly transformed by innovative ways to collect, organize, and analyze more information. Along with the growth of reliance on big data comes the realities and perceptions about big incursions into personal privacy. This session considers three perspectives on addressing concerns about the access and usage of personal data by organizations such as online services, biotech companies, or research institutes: first, research directions in the development of privacy-protecting technologies that make computing systems and data analysis more secure; second, methods that consider user preferences about the balance between privacy and personalized services, including methods that provide guarantees on minimizing data access; and third, legal and ethical implications of large-scale data collection and mining. Six students supported by the UC San Diego Jacobs School of Engineering’s Entrepreneurism and Leadership Programs sweep five out of six top positions at the Entrepreneur Challenge Elevator Pitch Contest. 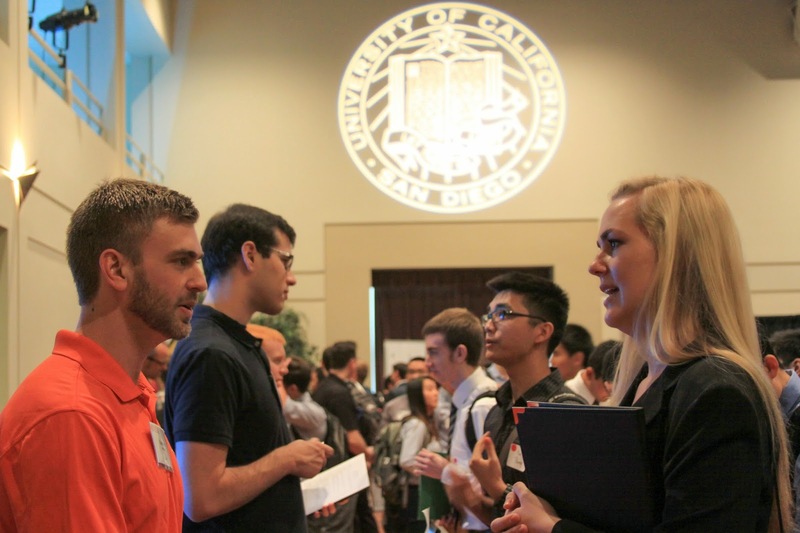 The Entrepreneur Challenge is a UC San Diego student organization focused on connecting science, engineering and business students with local entrepreneurs and professionals in San Diego. EChallenge competitions are excellent opportunities for students to receive early seed funding and publicity for their research and ideas. Taking first place in the Tech Division were Deepak Atyam and Alex Finch (pictured above). 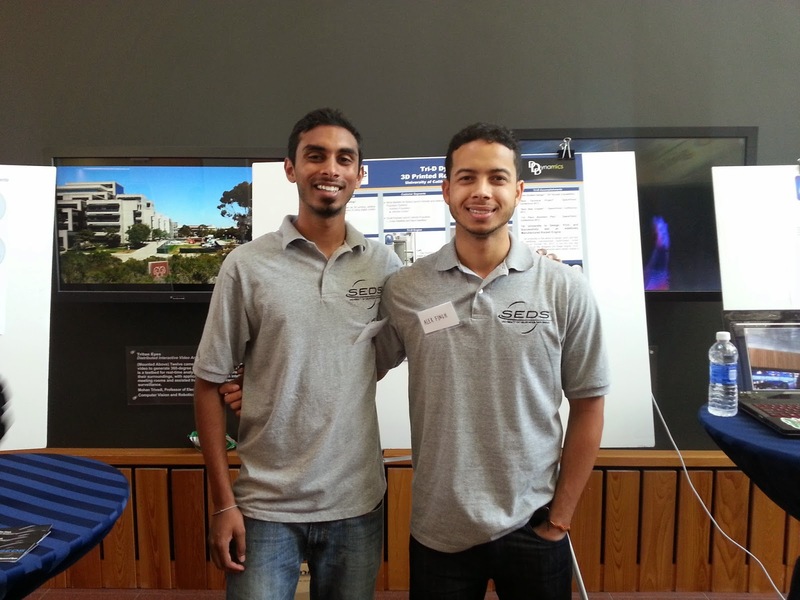 Atyam, a Mechanical and Aerospace Engineering student, and Finch, a Structural Engineering student are the founders a startup on a mission to use 3D printing to create designs for high performing, light weight, cost efficient rocket engines: Tri D Dynamics. The team's accomplishments have made UC San Diego the first university in the world to successfully design, print, and test a metal 3D printed rocket engine. Finch and Atyam started as a Moxie Center Incubator team, where they were provided lab space to develop their product and create working prototypes. The two honed their skills in becoming more effective technical leaders as scholars in the Gordon Engineering Leadership Center and made use of the von Liebig NSF I-Corps program to focus on customer validation of their product. 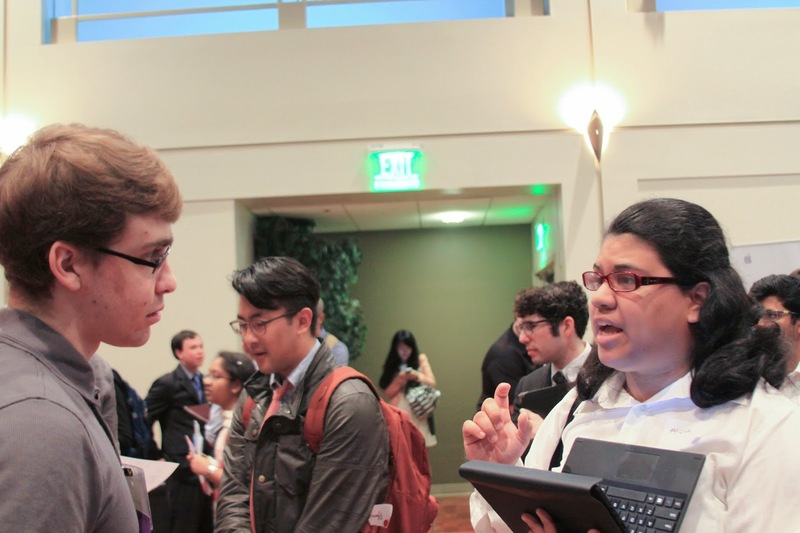 Bioengineering student Delara Fadavi (pictured below, on the right) won second place in the Tech category for her presentation Meego. 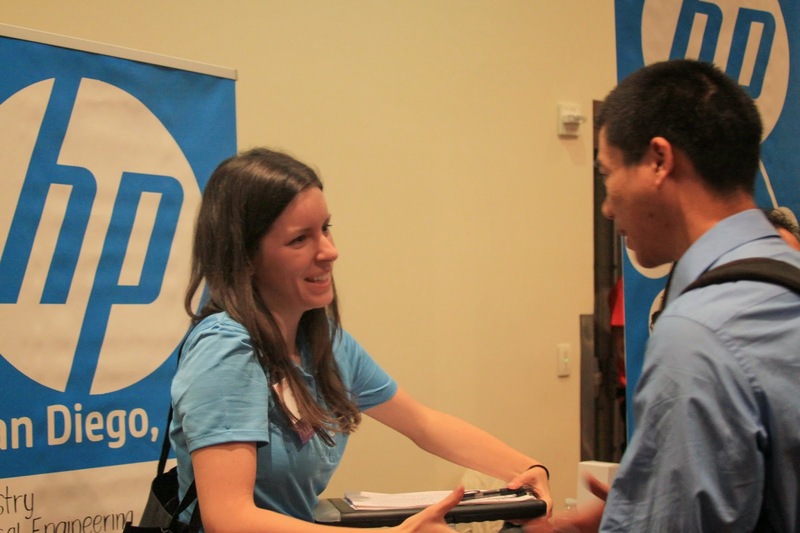 Fadavi founded Meego with Bioengineering student Aditi Gupta (pictured below, on the left) to develop a motion-detecting security device for laptops. They’re developing a prototype for students who expressed a need for increased security while they study in public spaces, such as the library or a coffee shop. Both students completed the von Liebig Center’s I-Corps program and are part of Moxie’s incubator program. Fadavi was a 2013 Gordon Scholar and an alum of the mystartupXX program which is a collaborative effort between the von Liebig Entrepreneurism Center and the Rady School of Management. 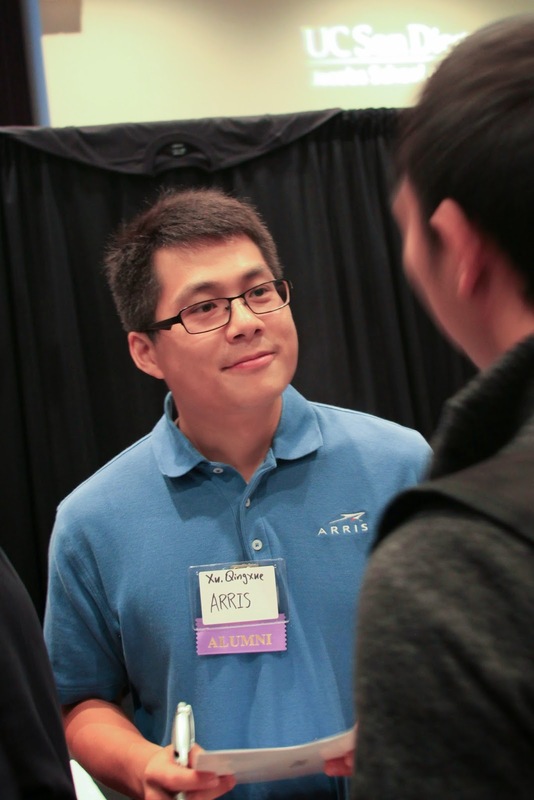 First place in the Bio/Med category went to Mechanical and Aerospace Engineering student Alex Phan for his work in Intraocular. The Intraocular team is working on improving the diagnosis and treatment of glaucoma using continuous intraocular pressure measurement. 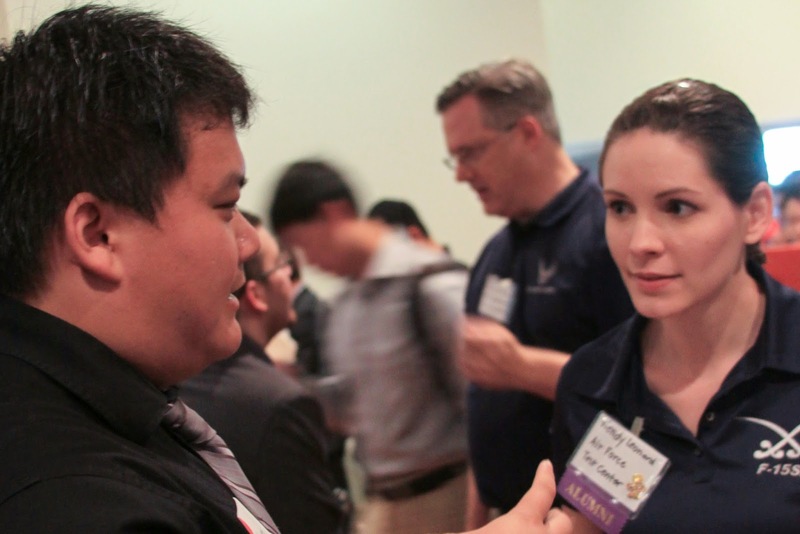 During the von Liebig NSF I-Corps program, Phan worked to develop the team’s business model and validate the idea with potential customers. 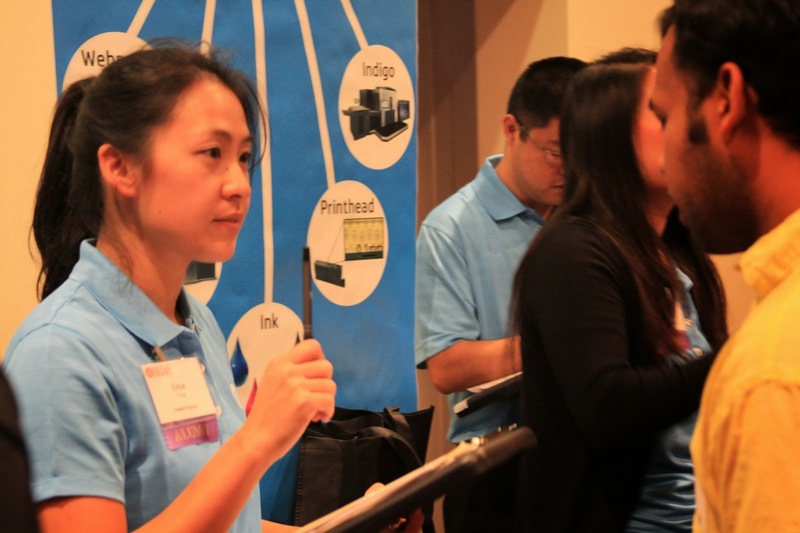 Wangzhong Shen – a Mechanical Engineering student – took second place in the Bio/Med category for Nanolipo. The Nanolipo is improving invasive liposuction treatments through the injection of a solution to better dissolve fatty tissue making it easier to extract during liposuction procedures. Shen is an alum of the von Liebig NSF I-Corps program. Stephanie Allen-Soltero – a post doc in the Department of Medicine – took third place in the Bio/Med category for her Cereus Innovation pitch. The Cereus team has a novel solution for overcoming the growth and maintenance of stem cells in high atmospheric oxygen. Allen-Soltero is currently part of the mystartupXX program which is a collaboration between the Rady School of Management and von Liebig Entrepreneurism Center and is supported by the National Collegiate Inventors and Innovators Alliance. 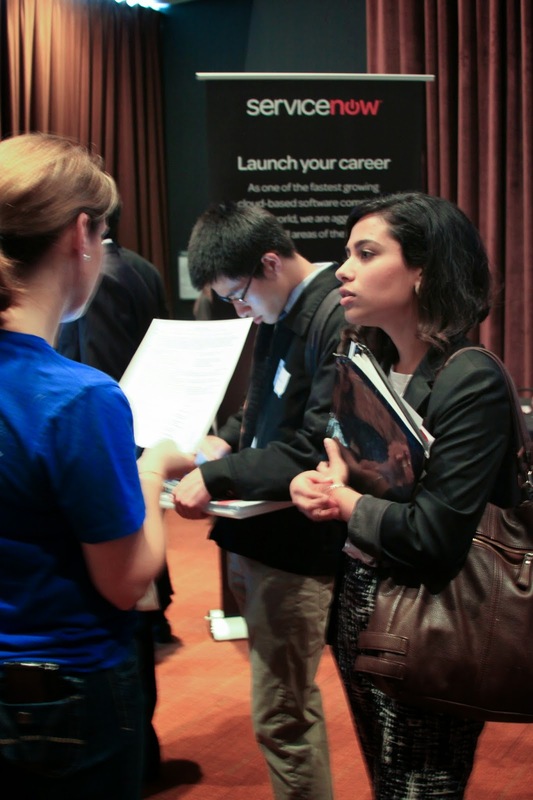 MystartupXX mentors female entrepreneurs with ideas to commercialize. We would like to offer our students, Deepak Atyam, Alex Finch, Delara Fadavi, Alex Phan, Wangzhong Shen and Stephanie Allen Soltero, each a proud congratulations on their excellent performance and continued success! It's not every day that you get to hack into a car driven by a celebrity news correspondent--with their permission. But that's exactly what Karl Koscher, a postdoctoral fellow in the Department of Computer Science and Engineering at the Jacobs School, got to do for an episode of CBS's 60 Minutes that aired Sunday, Feb. 8. Modern automobiles are becoming increasingly computerized — with many components controlled partially or entirely by computers and networked both internally and externally. This architecture is indeed the basis for significant advances in safety (e.g., anti-lock brakes), fuel efficiency, and convenience. However, increasing computerization also creates new risks that must be addressed as well. Our research mission is to help ensure that these future automotive systems can enjoy the benefits of a computerized architecture while providing strong assurances of safety, security, and privacy. Our research consists of three complementary strands: conceptual, experimental, and developmental. We conceptually evaluate the computer security landscape for potential future automobiles in order to guide our experimental and developmental research. Weexperimentally evaluate real examples of today's technologies to create informed understandings of potential computer security risks with future automobiles, as well as understandings of the challenges for overcoming those risks. We then develop new security technologies to overcome those challenges and mitigate the associated risks. We believe that car owners today should not be overly concerned at this time. It requiressignificant sophistication to develop the capabilities described in our paper and we are unaware of any attackers who are even targeting automobiles at this time. However, we do believe that our work should be read as a wake-up call. While today's car owners should not be alarmed, we believe that it is time to focus squarely on addressing potential automotive security issues to ensure that future cars — with ever more sophisticated computer control and broader wireless connectivity — will be able to offer commensurately strong security guarantees as well. The Sustainable Power and Energy Center at UC San Diego has been named one of seven "frontiers of innovation" programs by the campus. One of the big goals of this project is to support multidisciplinary projects that will yield benefits for society. The Sustainable Power and Energy Center is a multidisciplinary initiative dedicated to advancing the frontiers of energy technologies, focusing primarily on forward-looking renewable-energy conversion, storage, and power integration.